Markus Herbig oversees Schlesinger Quantitative, Europe with a focus on online research. He is also responsible for financial management for Schmiedl Marktforschung in Germany. Markus speaks fluent English. 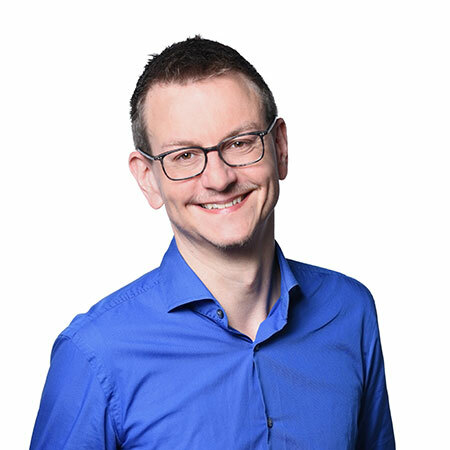 Markus began his career in marketing research in 1990 as assistant to the former Managing Director, Dr. Christian Schmiedl, and supported the growth of the company in Germany, establishing the Munich office, then offices in Berlin and Frankfurt. Markus graduated from Ludwig-Maximilians-Universität in Munich with a Master degree in Political Sciences, Psychology and Ethnology. In 2003, he was promoted to Managing Director of Schmiedl Marktforschung Munich. Markus has extensive experience managing quantitative and qualitative research studies with special focus on the entertainment and movie industry. In this role. He works with many film distributors to support their projects in Germany before launching new movies. He has been a moderator for qualitative projects, particularly for focus groups for over 20 years. Markus is married and lives with his partner in Munich. His interests include music, movies and gardening.